Gentleman. It is a term that, in modern times, holds a degree of confusion and in many cases rejection from a society that seems to be focused on gaining as much fame, wealth and notoriety as possible. This idea of gentlemanly behaviour evokes such images as well-to-do men of the late 1800’s in Victorian England, that presented themselves with a high degree of dignity and manners, ensuring their reputation within the upper class was never called into question, but my view is still that many of the practices and principles of being a gentleman hold true even today, and that these principles keep us from slipping into chaos. So, as we head towards Father’s Day, what are the lessons that a father can teach their sons and daughters to ensure that the positive attributes of gentlemanly behaviour never die out? 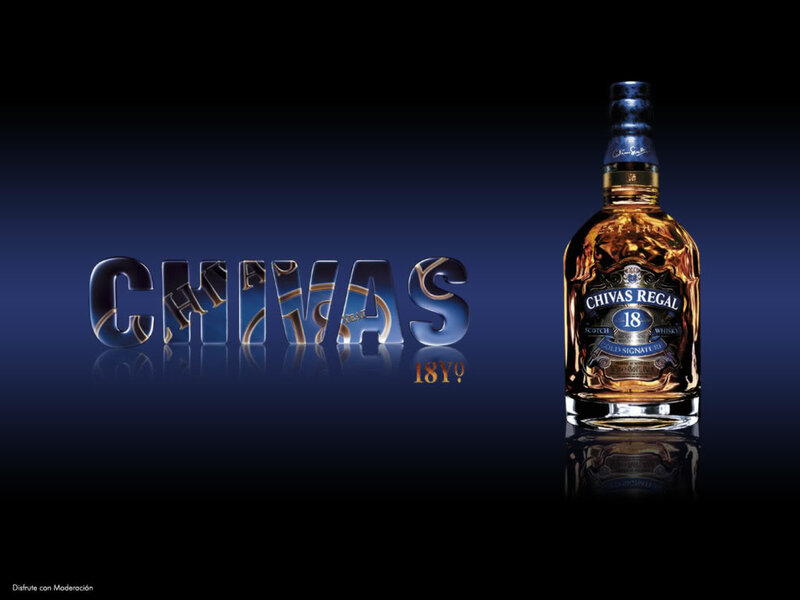 Also, here’s a chance to win a bottle of Chivas Regal 18 – the drink of the modern gentleman. 1. You are no better, and no worse than your fellow man. 2. Be a man of substance. Wealth and fame should never define you. 3. In doing good, you are promoting a better place to live for everyone. 4. Respect should be afforded to everyone, but expected from no one. 5. The legacy you leave will not be the fortune you amass, but rather the actions of your children and those you influenced during your life. 6. Immediate forceful action is a characteristic of a weak man. Forceful action should be advanced after much deliberation, trepidation, and should be followed with much remorse. 7. Be the first to criticize yourself, and the last to criticize others. 8. Your view is one view, and is no more right or wrong than any other. 9. Be a man of conviction. Your word is your personal bond, and honouring it is a sign of your true character. 10. Know that you are a product of your family heritage. The man you are today was influenced by your forefathers, and those who come after you will also be partly defined by this. 11. Always try to present yourself in the best possible way, not for external validation, but because you respect and love yourself enough to recognise and appreciate your own value. So, with Father’s Day coming up, we are giving you the opportunity to win a bottle of Chivas Regal 18 valued at ZAR899,95. Simply post below the best lesson on being a gentleman (for the men) or searching for the perfect gentleman (for the women…and some men) that your Father or Mother, or both taught you. Enjoying the obligatory Singapore Sling. A true gentleman is polite to everyone, in action and words. He possesses a positive outlook on life, is well-mannered and knows what is appropriate. My father was a man of his word. I have seen a deal sealed by just a handshake….and that deal was honoured. That taught me to honour my word. A gentleman is a man who honours his wife…respects her…places her first in everything and sticks to the vows he made when he married her. Well, I think I could be a gentleman when a lady has ‘underdressed’ ….and when the day gets colder….she complains she gets cold…I will take off my jacket and offer it to her. I will rather get cold in order to let her be more comfortable. When the lady by accident farts, I will make an excuse and say that I, being a ventriloquist, have this bad habit by projecting sounds and that I apologise. When it starts to rain and she does not have an umbrella…that I would offer her my umbrella….even if I have to get wet and cold in the process. A few tots of Chivas Regal will always warm me! A gentleman gives credit where it is due, and does not mind stepping out of the spotlight to let someone else have a moment to shine. A gentleman says what he means and nothing more. He does not over compensate or overdo. A gentleman knows when to stop, not to surrender but be confident and know he has done enough. Wearing the proper shoes for whatever occasion matters most, whether it’s formal shoes for business, trainers for sports and morning shoes for lounging at home. The right shoes will then dictate what else you need to wear so you can look the part. A gentleman knows that sharing is better than winning. Every man wants to be something more, to leave a legacy. When all is said and done, we choose what we leave behind and a good character is the best tombstone. Those who loved you and were helped by you will remember you when forget-me-nots have withered. Will you carve your name on hearts, rather than in stone? A gentleman knows that failing a thousand times is better than giving up, because failures are the stepping stones to success. A gentleman is patient and knows a mistake is time spent wasted. The most valued commodity of all. A true gentleman knows that chivalry is never dead. …even if he makes a mistake twice. A gentleman know when he’s made a typo. And is quick to admit it. A gentleman is never run by his emotions, but his heart is overflows with love. A gentleman knows that he is but a man. He needs others to be something more. A gentleman always takes his time, because he knows that things are best when they are savoured. A gentleman never tries to be one, but constantly strives to be deemed one. A gentleman always takes responsibility for his mistakes, but shares his successes with others. My Dad taught me to always be thankful and appreciative. ‘Please’ and ‘Thank You’ can be worth more than gold when said sincerely. I’ve learnt that being a gentleman is treating others with respect and value, unconditionally and without bias. My father taught me to be brave enough to admit when I am wrong. Thanks Dad. Some valuable gentlemanly lessons here. Thanks!